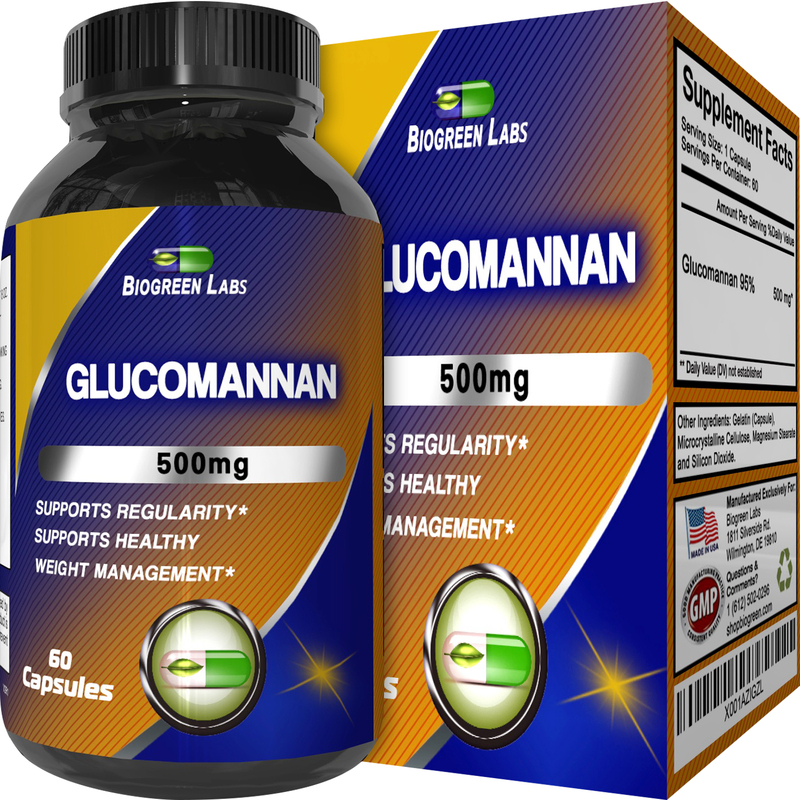 Lower cholesterol, relieve constipation, lower blood pressure and burn belly fat with the glucomannan weight loss pills from Biogreen Labs. The konjac root supplement within these capsules is responsible for delivering a whole lot of good to your system, and each serving is low in calories and carbohydrate but high in dietary fiber and glucomannan. With 1,150 mg per serving of two capsules, this product packs a mighty punch and with just five calories and 1.3g of carbs. In fact, glucomannan can absorb water in the lining of your stomach, which delays digestion of food and keeps you feeling full for longer as well as preventing carbohydrates being absorbed into your system. It can also help lower your cholesterol levels, and aid in blood sugar control because it prevents glucose spikes after eating. Konjac root fiber also helps to lower cholesterol better than oats or psyllium husk – and can also be used to relieve constipation.